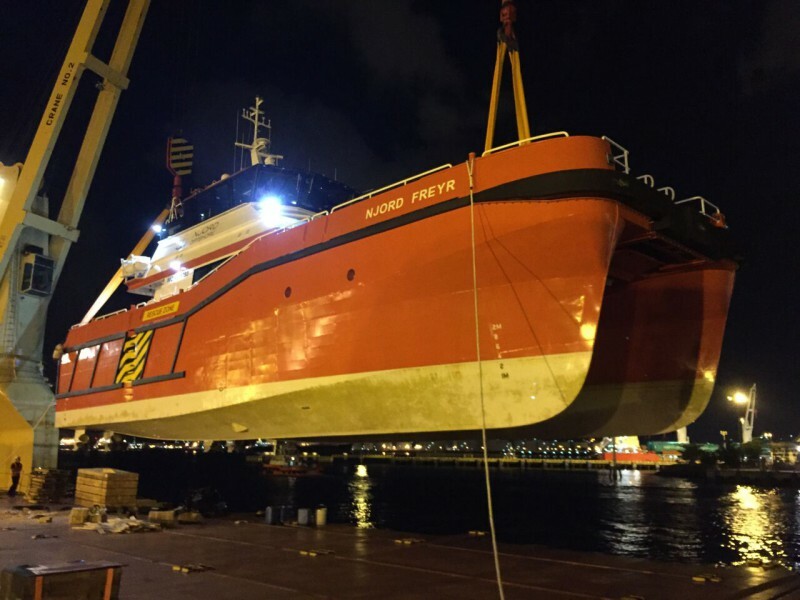 GRS has been commissioned to ship a new-build vessel again. The Hamburg-based specialist shipbroker was able to successfully provide the appropriate tonnage for the transportation as well as support for the project. The shipowner Njord Offshore from the UK was pleased to take delivery of the 26-metre long CTV from the Strategic Marine shipyard in Antwerp. “GRS arranged a safe, high-quality and extremely lowcost heavy-lift transport for us,” said a delighted Tom Mehew, Director of Njord Offshore. The new-build had withstood the ordeal of the 30-day transit from Singapore in good shape. The latest addition to the company’s fleet will now be deployed in the northern European area for personnel transfers in the offshore wind sector.